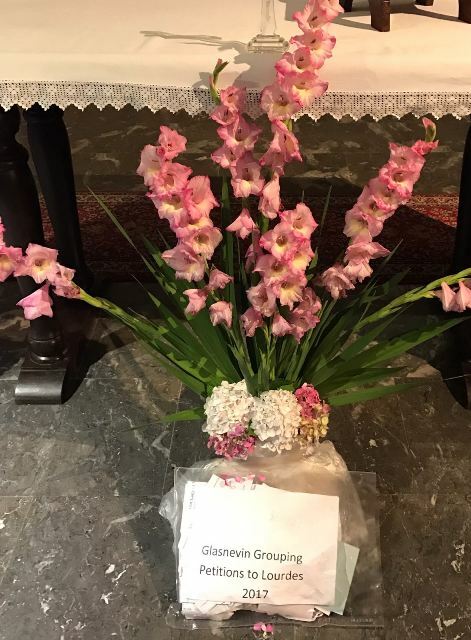 We may have arrived home a day late due to flight delays but our pilgrimage was very special as it was the first time it truly was a combined Glasnevin grouping pilgrimage. And indeed our group was further enhanced by the Donabate ladies who joined in. Fr Richard provided us with insightful reflections as we went on our pilgrim way with daily Mass, rosary processions and blessed sacrament procession. We survived the baths as well! Thanks is also due to Fr Cormac a Spiritan father, whom we met, who concelebrated Mass with Fr Richard. Above is a photo of the petitions in front of the beautiful altar in Bartres where St Bernadette lived for a while. We also lit a large candle on behalf of the Grouping and it is hopefully still burning bright. 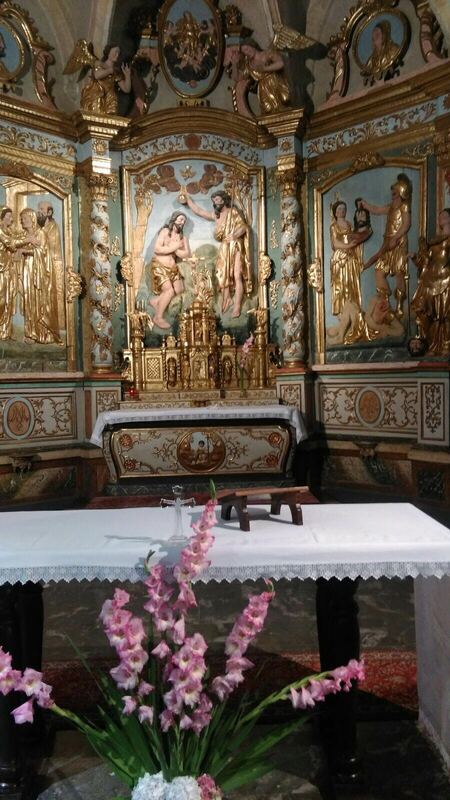 Photo underneath shows the beautiful altar in Bartres.